When a benchmark has been assessed for a student across multiple trackers, it may show up in your tracker as a remote benchmark score. Your school or district SIS must be integrated with MasteryConnect to use remote benchmark scores. If you do not want remote benchmark scores to appear, you can turn off remote scores for your tracker. Next, select the tracker you want to view. If your any of your students share an assessed benchmark with another tracker, the scores will appear in your tracker. 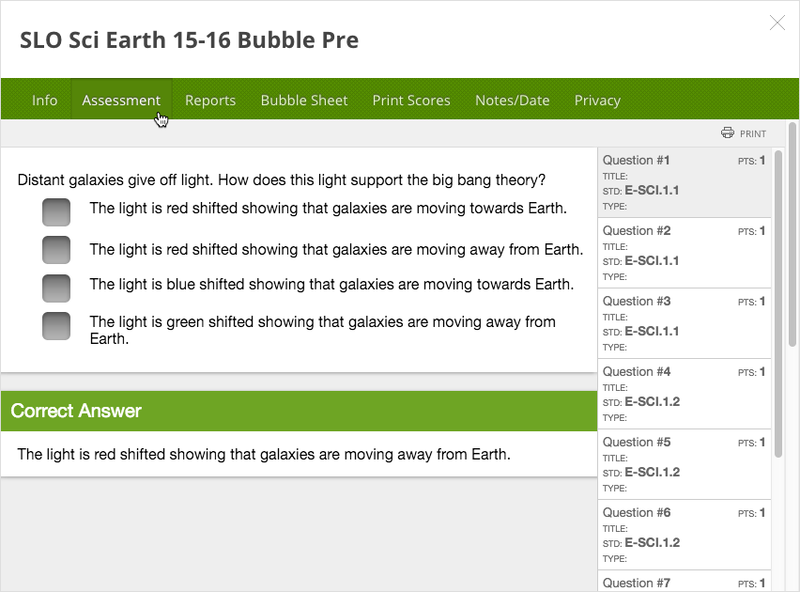 A benchmark assessment appears as a dark grey column with a “B” at the top. Click the benchmark title, then click the title of each standard that you want to view. 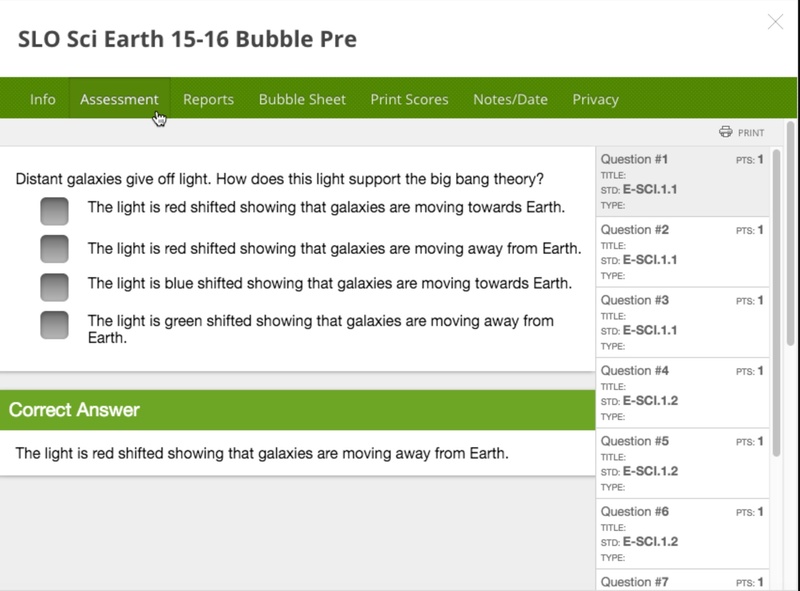 You can now view more detailed information about the assessment, including the assessment source, answer key, and aligned standards.